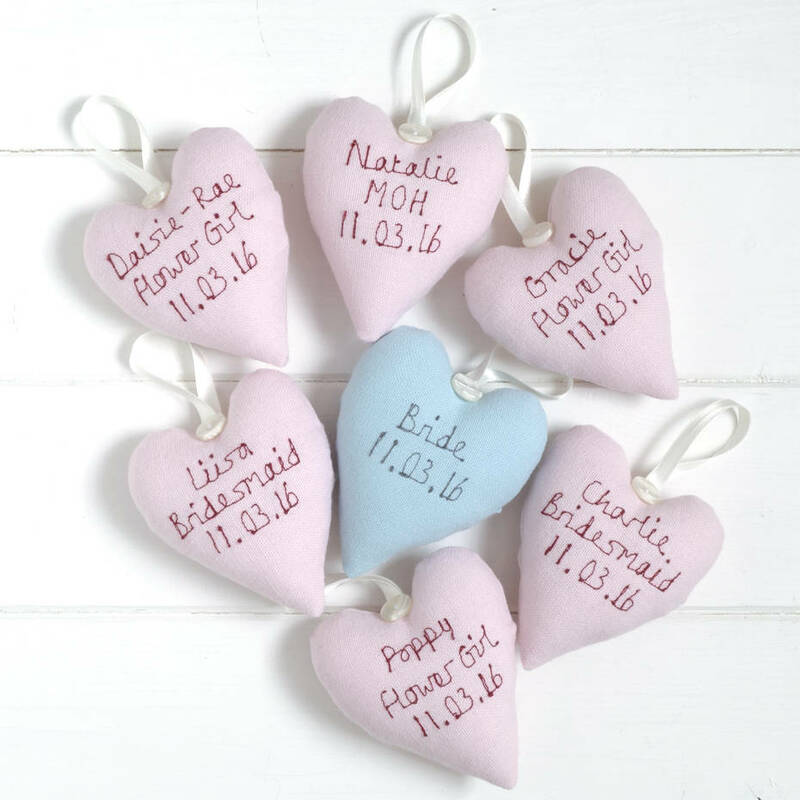 A beautiful personalised bridesmaid heart, makes a great little wedding thank you gift to remind those of the part they played on your big day. 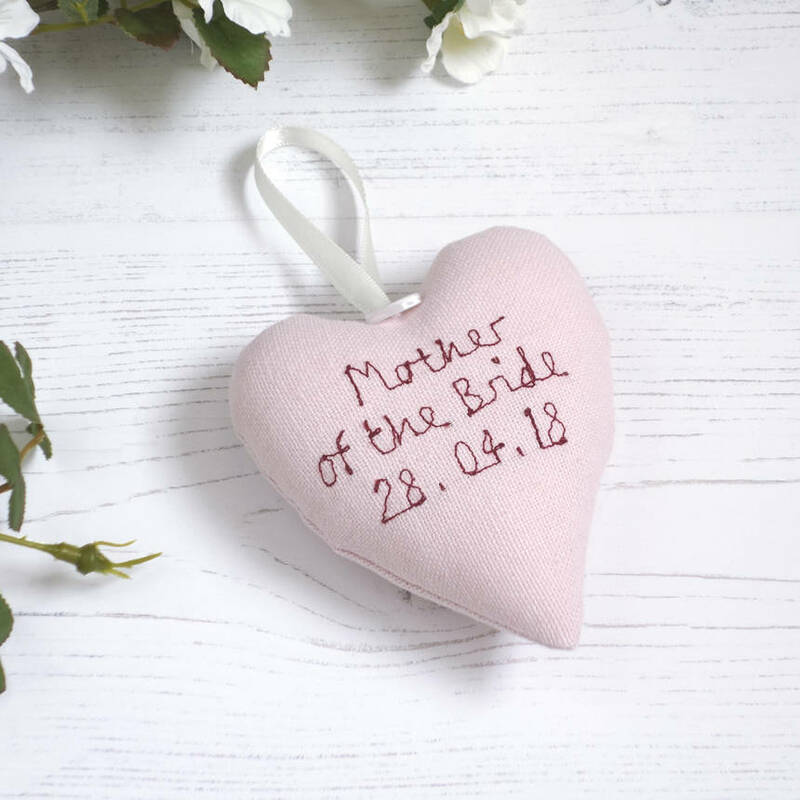 Handmade by milly and pip, this lovely embroidered fabric hanging heart can be used to personalise your bridesmaid, flower girl, maid of honour and wedding dress hangers. 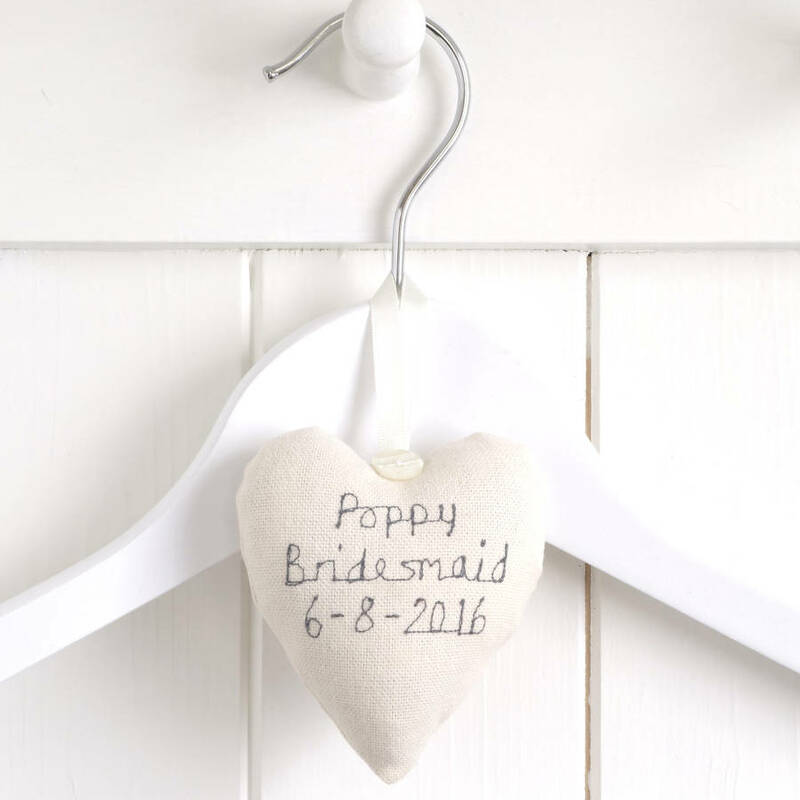 It makes a fantastic prop for that all important wedding dress photo and is a wonderful keepsake gift for the whole bridal party. 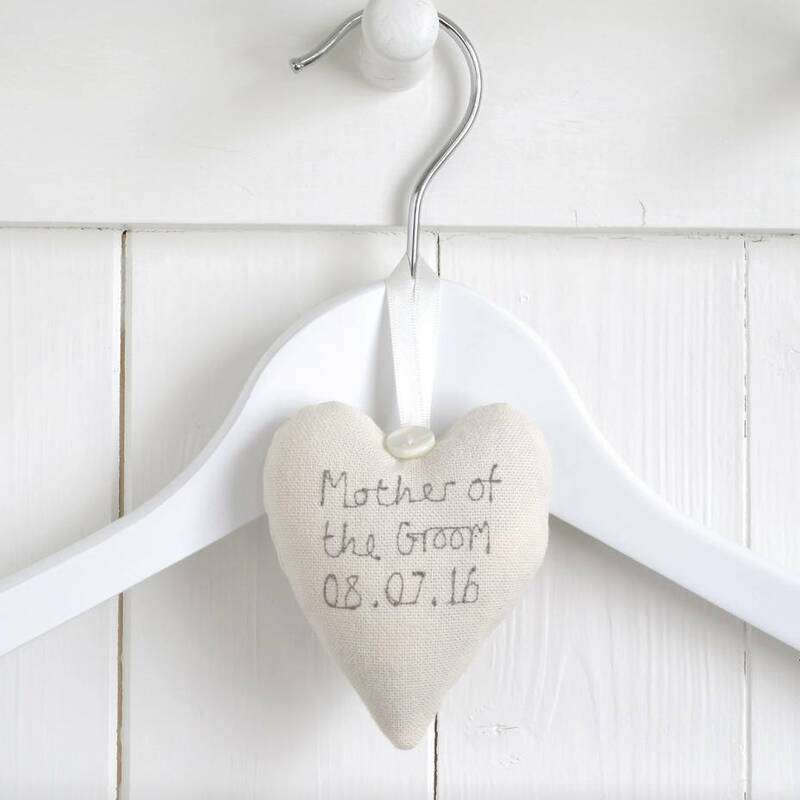 Would also make a fabulous mother of the bride or mother of the groom gift. 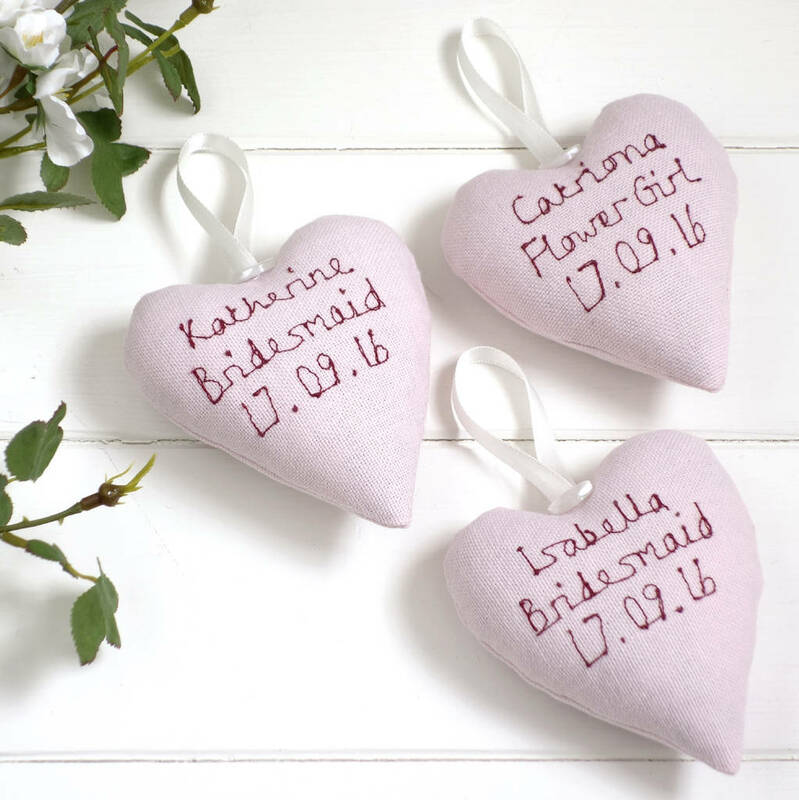 Both pretty and practical, the mini heart can be filled with dried lavender, which can help to protect the wedding dress or bridesmaid gowns from moths when they've been stored away. 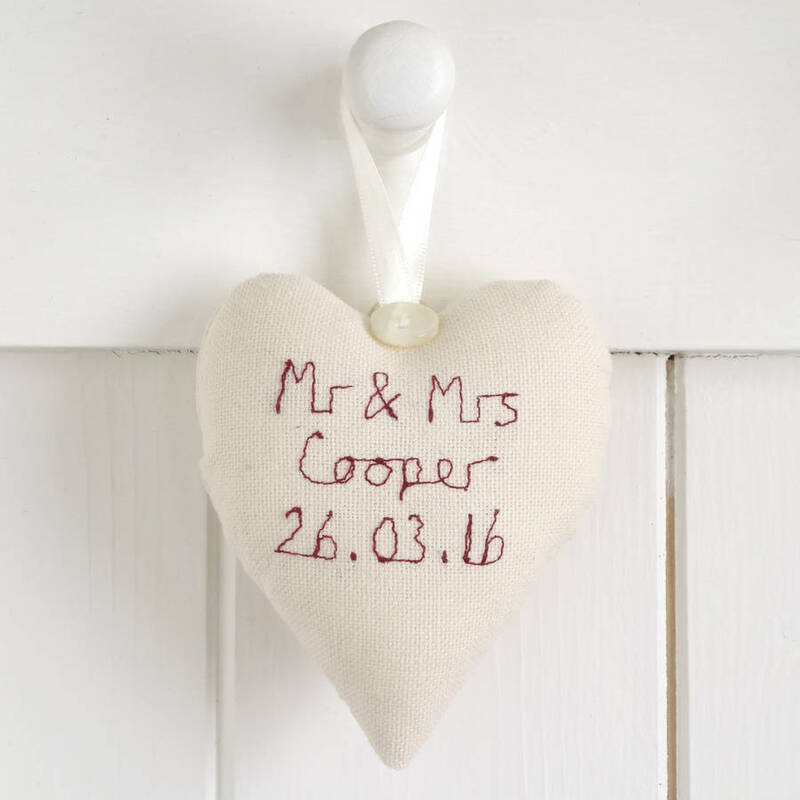 The keepsake heart can be personalised on the front and back, with up to 3 lines of freehand machine embroidery, which is like writing by hand using the sewing machine as a pencil. 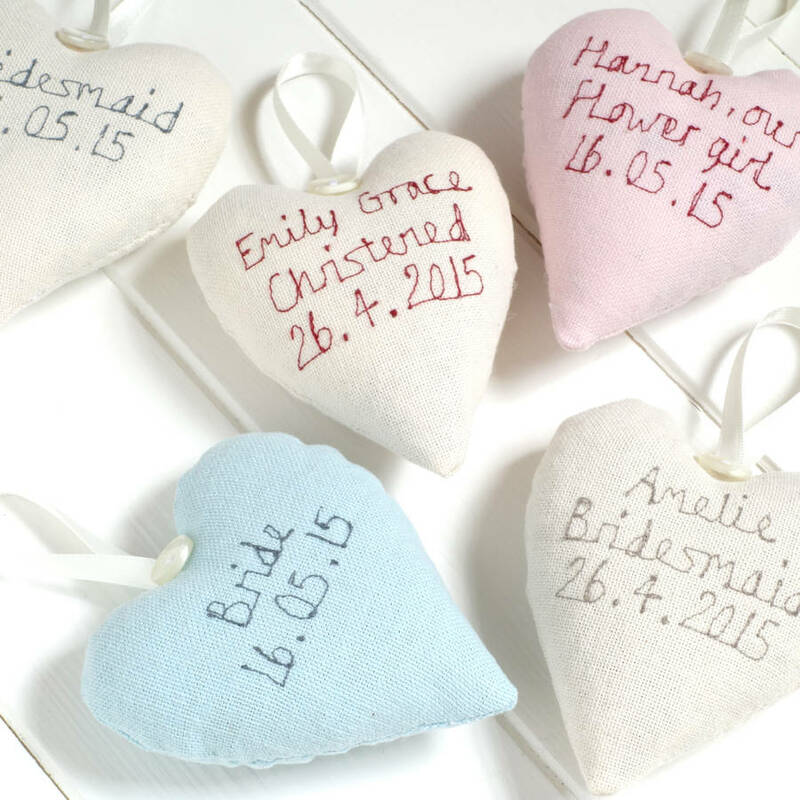 Available in 5 colourways, cream with stone, cream with red, cream with blue, pink or blue. 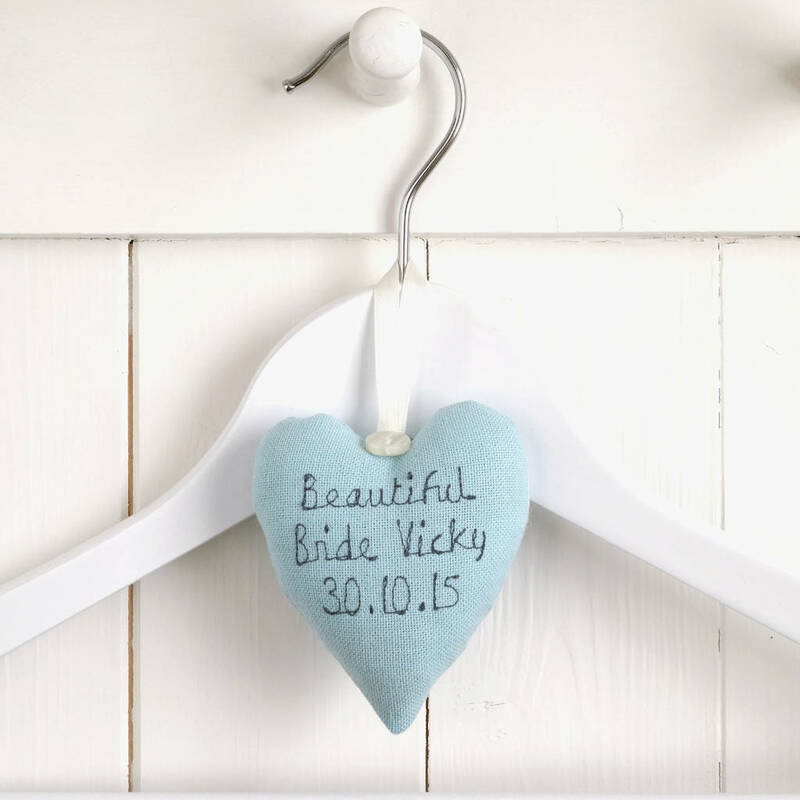 The blue heart, makes a wonderful something blue gift for the bride to be. 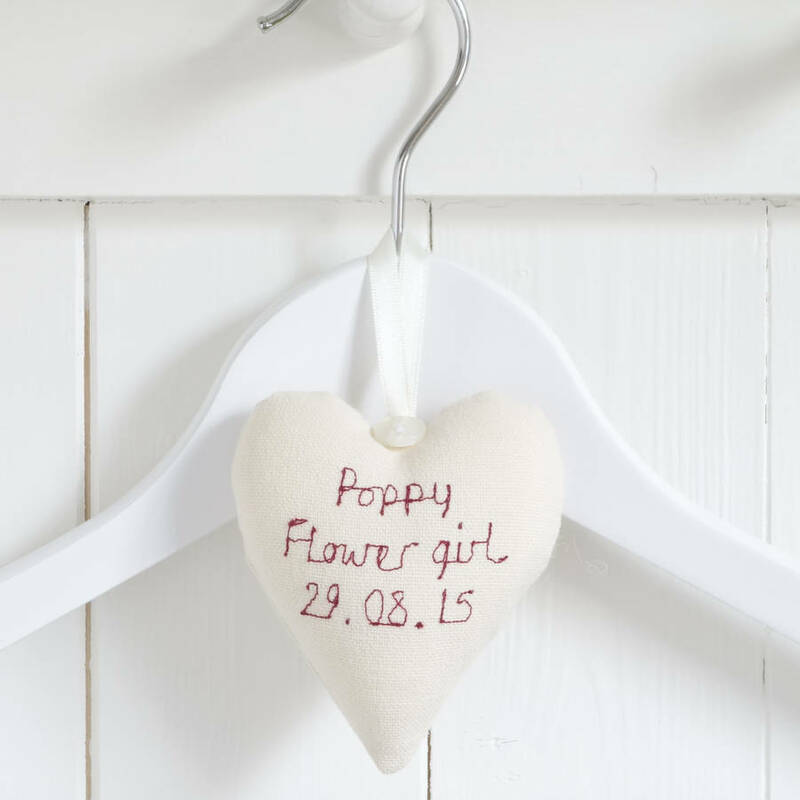 Handmade using 100% cotton and filled with soft polyester stuffing, with or without dried lavender. Approx size: 9.5 x 8.5cm excluding ribbon loop. 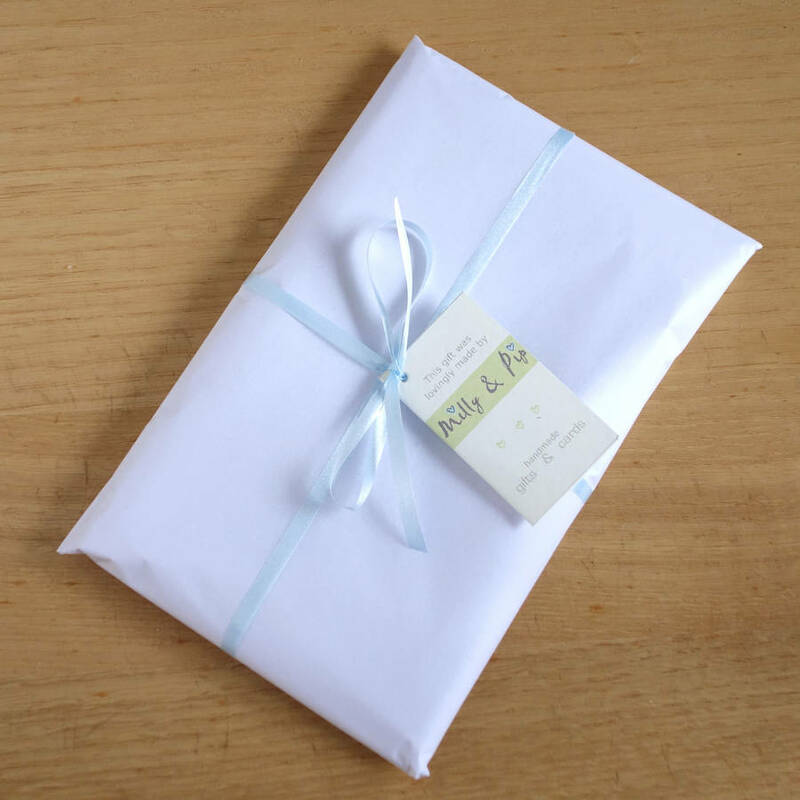 If you would like your heart to be sent direct to the recipient, we can gift wrap it for you. 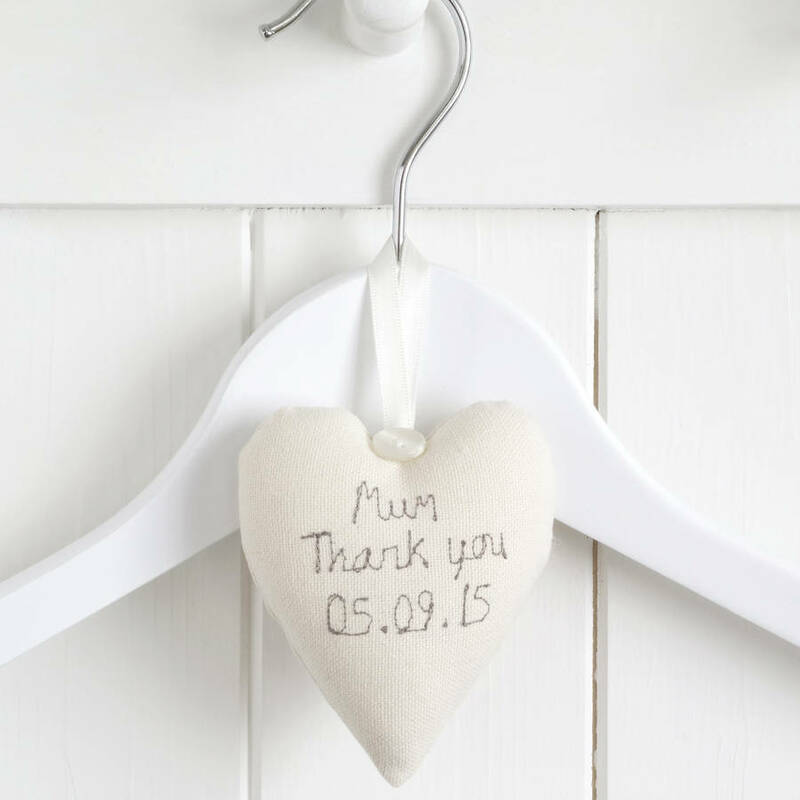 Please click the ‘gift options’ box at checkout, where you can add a short message, which will be handwritten on to the gift tag. 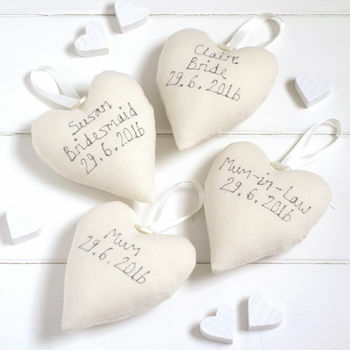 Please click on 'see seller's complete range' to view our other personalised bridesmaid gifts and cards.